The baby chicks are in. We headed out to Tractor Supply today to use my 10% coupon, looking at the greenhouse, wanting some bird seed, hubby wanted a new belt and a good pair of jeans, and I wanted hiking boots. My old ones are shot. With the coupon and the sales, Tractor Supply has the best prices on basic bird seed, work clothes, Ariat boots and shoes, and they were advertising a small greenhouse at a great price. And, yes, the chicks are in. They have five or six varieties, rock cornish, red pullet, brahma bantam, to name a few. They also had baby ducks. Minimum purchase is six. No Easter presents is the reason. These are chicks for those who want to raise egg layers or fatten up those future broilers and fryers. The rock cornish are the chickens we get from England Acres. Great birds. Really a good breed for those looking for meat production. Chicks were $1.99 or $2.99 each, and ducks were $2.99 each. They were doing a brisk business selling chicks. I did find hiking boots. If you have never bought Ariat boots, you really should look into them. A very nicely made product that lasts forever, and is not inexpensive. Mostly leather products. Lots of riding boots. 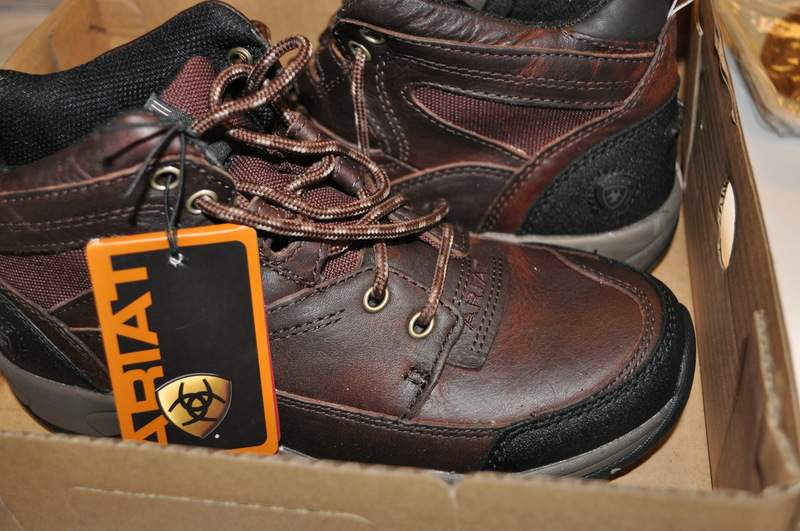 I have many of their items and this is my first hiking boot purchase. Of course, it seems every time we visit Tractor Supply, we run into someone we know. Today the place was very busy and we ran into a friend who has a farm over in Glenwood. We talked about how their lambing, and the birthing of their goats are going. Popular place, in Mt. Airy. While out there I did head over to England Acres to get a few things. 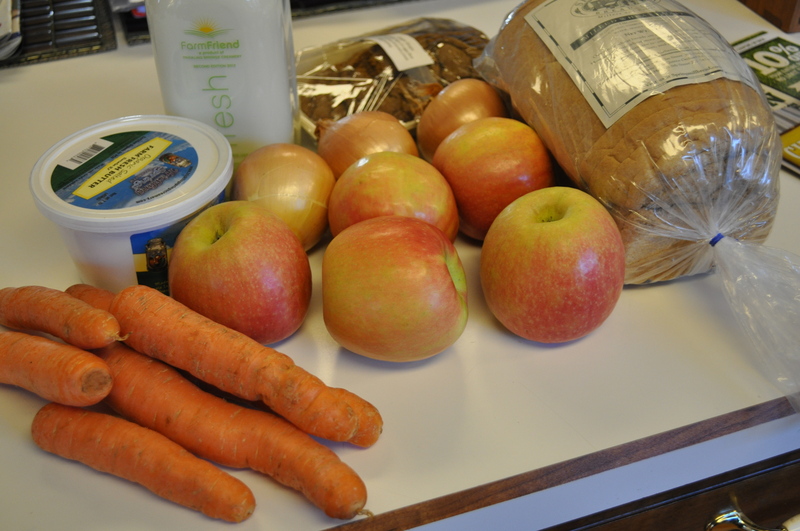 CSA starts next week so I only needed some dairy, bread and a few apples. I did pick up some lovely carrots and onions to make a chicken soup midweek, just in case I don’t get them in my first CSA delivery. They knew I was coming, and they saved me a package of gingersnaps. I had asked about them the last visit, and there weren’t any. These are the best gingersnaps. Chewy, spicy, great with milk. My husband loves them as a snack. One of the little pleasures of knowing the source of your food. We also put our name down to get the side of lamb in April. They are doing two offerings of fresh lamb, one this month and one next month. Only chance this year to get fresh lamb from them. A side of lamb is about 20-25 pounds, just enough to give you some special meals. Freshly ground lamb is so good. 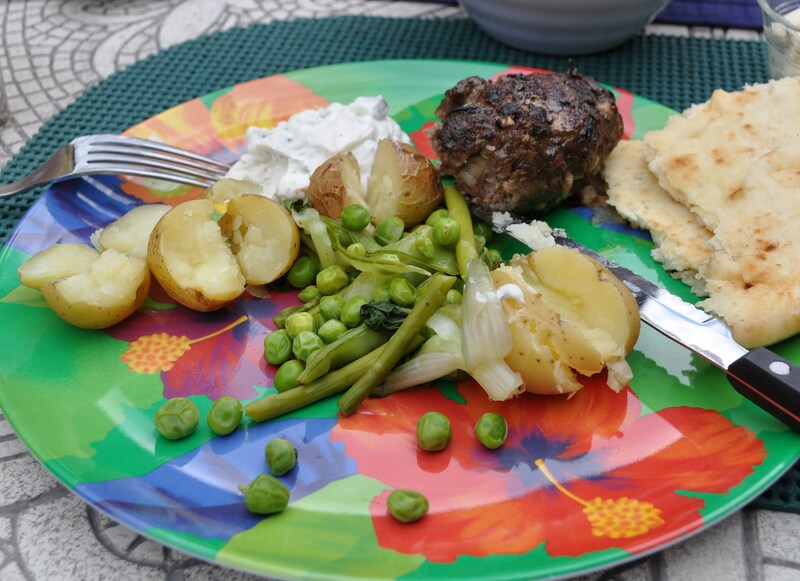 Remembering my grilled kofta from last year. I can’t wait to be able to make it again this spring. Doesn’t this picture just scream springtime? Link to my post and recipe is here. Posted in Food, Howard County, Local Businesses, Locavore, West HoCo and tagged Food, foodie, Howard County, local businesses, Locavore, West HoCo. Bookmark the permalink. I have a pair of Ariat shoes and Ariat riding shoes (can’t remember the exact name, a low boot but not padded like your hiking boots). Both have great support and last forever, I’m really tough on them and they can take it. When i bought the boots, the salesperson told me some orthopedists send patients in to buy them! I also have an Ariat canvas bag I use for dog training, even it wears like iron. None of their stuff is cheap but it sure gives you your money’s worth. Are you thinking about raising chickens? Or do you just like looking at the baby chicks? We had considered getting chicks, but would need to find someone to mind them if we went out of town. Plus, with three resident hawks and a family of foxes, we would have to do major work to keep them safe. The idea is on hold at the moment. I will just get my eggs at Breezy Willow and England Acres for the time being. How exciting on the new chicks! Hiking and lamb both scream spring.